Posted January 29th, 2017 by Mike Boyes & filed under Adult Development and Aging, Consciousness, Health and Prevention In Aging, Neuroscience, Psychological Health, Stress, Stress Coping - Health, Successful Aging. Description: How have you been sleeping lately? If you are over 65 years of age and you are having some difficulties falling and/or staying asleep you are not alone. In a large study 42% of people over 65 reported some sleep related issues. Given this what are your thoughts/beliefs/theories about insomnia? What causes it? What can or should be done about it? Or is it just a part of aging? Once you have your thoughts on these questions in order read the article linked below to see how your thoughts etc. match up with what some experts/researchers have to say. Source: Getting Older, Sleeping Less, Jane E. Brody, Personal Health, New York Times. 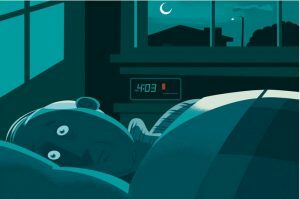 So how did your thoughts/beliefs/theories about insomnia measure up? I think one of the most important statements was that offered by Dr. Avidon the sleep clinic director that “insomnia is a symptom, not a diagnosis”. It is important to understand the differences between transient, short-term and chronic insomnia and between primary and secondary insomnia. All types of insomnia should be addressed but the need to do so increases when the insomnia in questions is chronic and either primary or secondary in nature. In all cases we also need to pay attention to things that we can have some control over. Not letting our own concern about not being able to fall asleep expand with worry but, instead getting up and reading a bit to relax is a better response. Also noting the profound ways in which light influences our biological clocks is important., If you get up to go to the bathroom at night do not turn on the lights and keep nightlights low both in terms of wattage and closeness to the floor. Note that our increasing arrays of electronic devices from good old TV to more recent additions such as smart phones and tablets all add quite a bit of light into our experience, enough perhaps to wake us up biologically speaking. So, having some trouble sleeping? Now you know a bit more about what you can do and about the sorts of things you can and should look into if the problems do not turn out to be transient in nature. 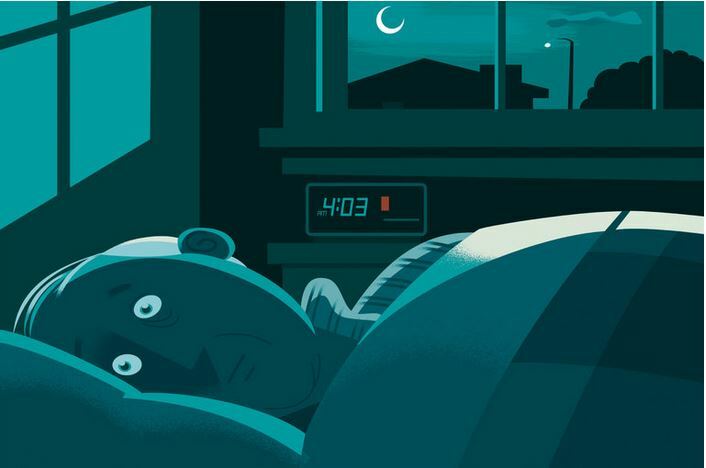 What distinguishes transient from short term and from chronic insomnia? What does ““insomnia is a symptom, not a diagnosis” mean? How would you advise a friend or relative who disclosed to you that they are not sleeping well and are worried about it? Foley, D. J., Monjan, A. A., Brown, S. L., & Simonsick, E. M. (1995). Sleep complaints among elderly persons: an epidemiologic study of three communities. Sleep: Journal of Sleep Research & Sleep Medicine. Gehrman, P., & Ancoli-Israel, S. (2016). 20 Insomnia in the Elderly. Diagnosis and Treatment, 224.